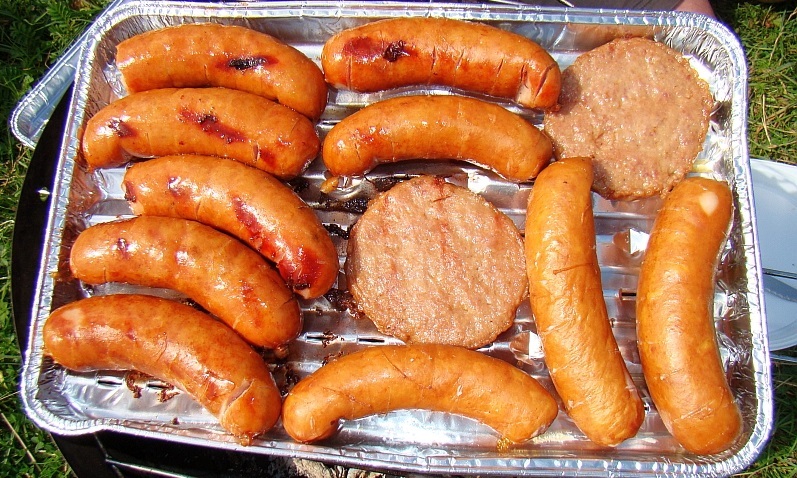 Is this the end of the great Aussie BBQ? By now, you would have seen it splashed across the news: a report published by the International Agency for Research into Cancer, part of the World Health Organisation, on the links between red and processed meat and cancer. Our scientists, Dr Trevor Lockett and Dr David Topping, respond to the findings of the report – and what it might meant for your diet. In light of the findings from the World Health Organisation, should we be worried about how much red meat we eat? Australians should be confident that red meat remains an important component of a healthy balanced diet. Red meat provides an important source not only of protein but also iron, zinc and vitamin B12. The report doesn’t show any causal link between red meat consumption and cancer in general. While a small but statistically significant increased risk of developing colon cancer has been observed amongst the highest consumers of red meat, other factors may modify this risk. For example obesity, smoking and lack of exercise increase the risk of colon cancer. What the report does provide, however, is an important reminder to take note of the amounts of red meat that we do consume, and what we eat it with. The Australian Dietary Guidelines recommend we consume no more than 455 grams of cooked of lean red meat per week – or around 650 grams of raw meat. This equates to 65 grams per day. As a rule of thumb, that’s around 100-200 grams of meat, three to four times a week, in order to maximise the benefits of red meat and minimise the risks. The Australian Dietary Guidelines recommend we consume no more than 455 grams of cooked lean red meat per week. This equates to 65 grams per day. The National Nutrition and Physical Activity Survey shows that Australian women and children consume slightly below the recommended 65 grams per day to meet their iron and zinc requirements. Men on average eat slightly over 65 grams per day and so could reduce their portion size. For processed meat, the report estimates that for every 50 gram portion we consume daily, the risk of developing bowel cancer at some stage in our life increases by about 18%. For red meat the numbers are estimated to be 17% per 100 gram serving, consumed daily. That is, of course, if the cancer is in fact caused by the meat, and this isn’t yet clear. At the level of the individual, these effects are quite small. But they can have significant impact at a whole-of-population level, where more people may be consuming higher levels of these products. What you eat meat with is also important. Population data suggest that consumption of dietary fibre and red meat can reduce any risk of bowel cancer substantially. This is a very important point both for public health and personal wellbeing. Recent research we undertook with Flinders University has shown that a consumption of high levels of a special form of dietary fibre (resistant starch) with a high red meat diet reduced the level of DNA damage in colonic tissue, relative to that in volunteers consuming high red meat alone. So, a balanced diet including sensible levels of red meat but also plenty of fibre from grains, legumes, vegetables and fruit, is a practical way of reducing your cancer risk – while also providing a good eating experience. Do the Australian Dietary Guidelines need to be changed to reflect the nature of the new findings? It seems unlikely that we would need to, but any decision should await a full and detailed independent consideration of all the data. The report published this week in the Lancet was a summary of the findings from the research. The full article describing the details of the scientific method and results is yet to be published, and the devil will be in the detail. It is worth noting, however, that the effects seen are small, and are associated with habitual high level intakes of red meat. Alternative contributors to cancer risk, other than red meat consumption, cannot be ruled out. While the report suggests a causative relationship between bowel cancer and processed meat products, again these increased risks have been associated with high-level, long-term consumption of processed meats. The risk increases are small, and the extent to which they are associated with curing or preservative agents – some of which are not used in Australian processed meat products- is unclear. Consumption of processed meats as discretionary foods would still seem appropriate. Overall, the benefits of red meat should balance the risks. Further, while large daily intakes of processed meats may not be recommended, their occasional consumption should probably also be acceptable. The results of this study will help us reassess our current national recommendations. Does our Total Wellbeing Diet need to be updated to reflect the nature of the new findings? At this stage, no. We will take great interest in the full paper once it is published, and would certainly look to review our dietary recommendations in line with any changes to the Australian Dietary Guidelines should they occur. It is important to remember that, unlike some other weight loss diets, the Total Wellbeing Diet is a nutritionally-balanced diet that incorporates good levels of dietary fibre – which has been shown to oppose many of the health risk factors associated with red meat consumption. In fact, the fibre content included in the Total Wellbeing Diet sets it apart from many other diets, thanks to the benefits of consuming a range of fibre sources. For more information on the Total Wellbeing Diet, visit our website. The same molecule of a given protein is the same no matter where it comes from. The issue as discussed in earlier comments is the relative bioavailability of vitamins, trace elements and proteins. Globulin proteins for instance, one of the major protein sources from soy beans, can be found in most animal protein sources and varieties of it are also made in the liver. Can you show us which specific proteins cause cancer cell growth? Cancer cells like every other cell in your body requires proteins, sugars, water etc to grow. If vegetate sourced proteins prevented the growth of cancer cells Vegans would surely never get cancer? “The article did not say or suggest that animal protein or protein foods cause cancer cell growth. The blog refers to research regarding red and processed meat consumption both of which contain many other components in addition to protein. That said, we should clarify that protein molecules do differ substantially depending on their source, even within as well as between animal as well as plant species. The configuration and relative amounts of the various amino acids differ and this can alter functions of those proteins in the body. Hope that helps clear it up for you!